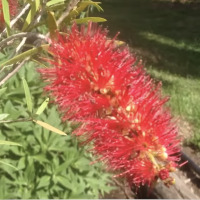 This callistemon is a very valuable tree for landscaping, as a screen plant, in erosion control or as a specimen or street tree. 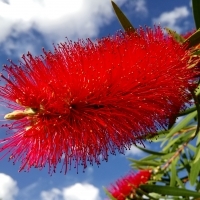 Bright scarlet red flowers appear in late spring and autumn and smaller numbers of flowers all year. Unique narrow growth habit, growing on 1.3 m wide. Great for hedges or screens. 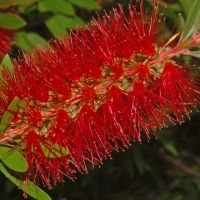 A large number of flower buds develop in the spring and open throughout the spring, summer and again in late autumn.